Move the slider to change the number of sides in the interior and exterior polygons. Move point B to change the size of the circle. 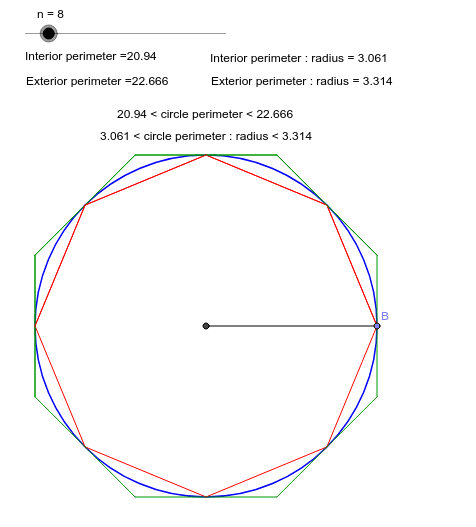 What do you notice about the estimate of the circle perimeter as the number of sides increases?